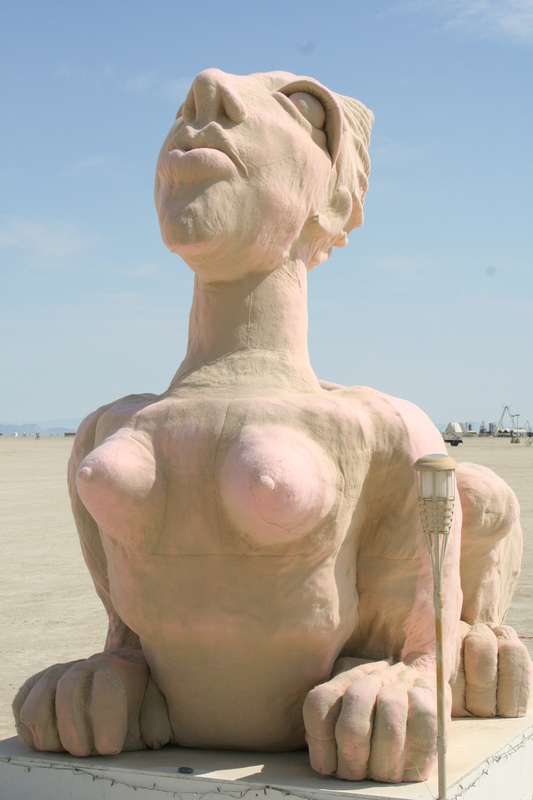 Burning Man is wonderfully quirky. Want proof? Walk 50 yards down any road. I love it. Where else can you get a cold brew from a beer tap drilled in to the side of a coffin or discover an army of Barbie Dolls in their birthday suits. 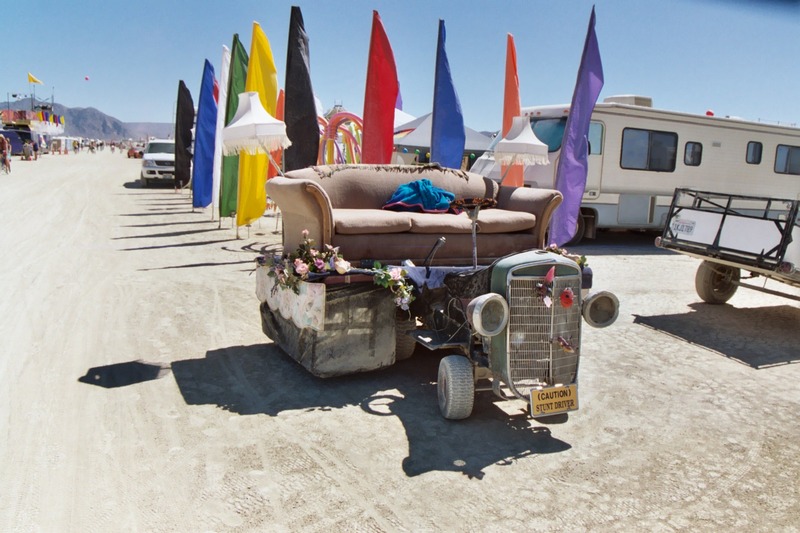 People wear quirky clothes, drive quirky vehicles and create quirky art. Check out the expressions on the fish below and on the Pitch Fork Man. Or what about the Cat Car? Or how about, uh, twin cats??? 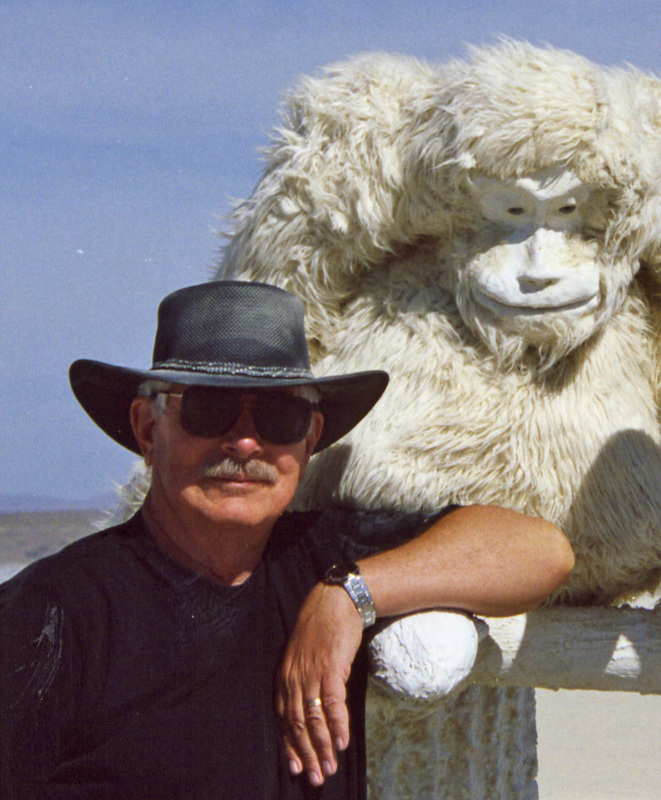 Murals are common at Burning Man. 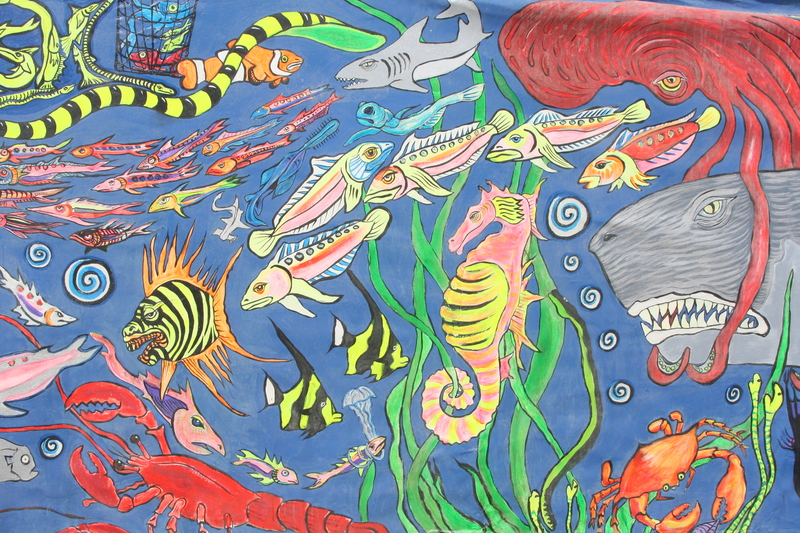 I love the expression on the striped fish and how the octopus is hitching a ride on the whale. Pitch Fork Man is the very definition of quirky. 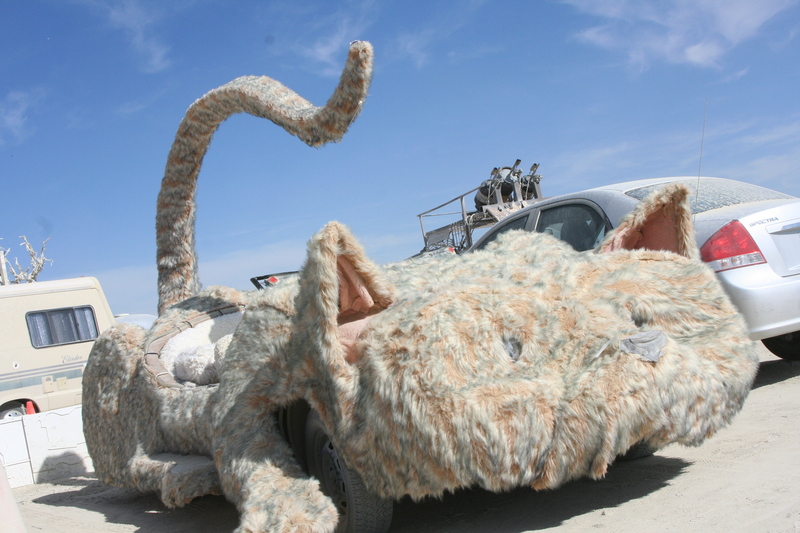 The Cat Car has always been one of my favorite mutant vehicles. Naturally, Bone fits right into the environment. Grown men riding around on stick horsies also qualify. 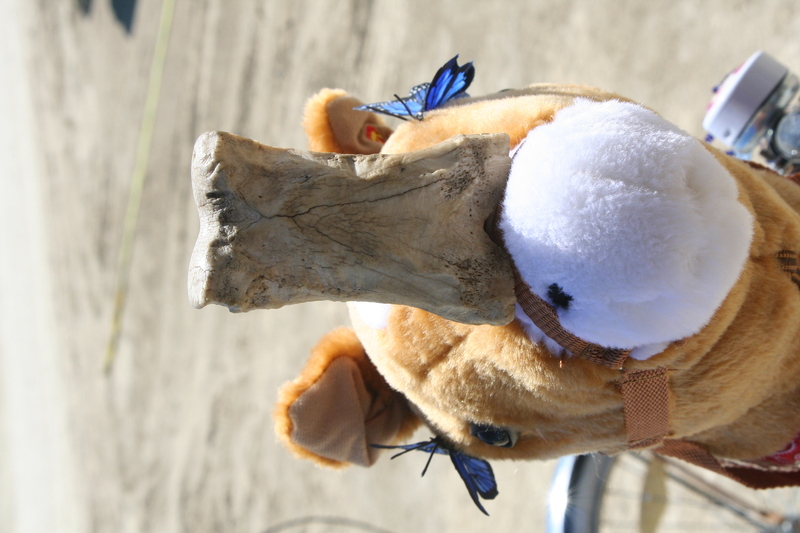 We are, after all the Horse-Bone Tribe. 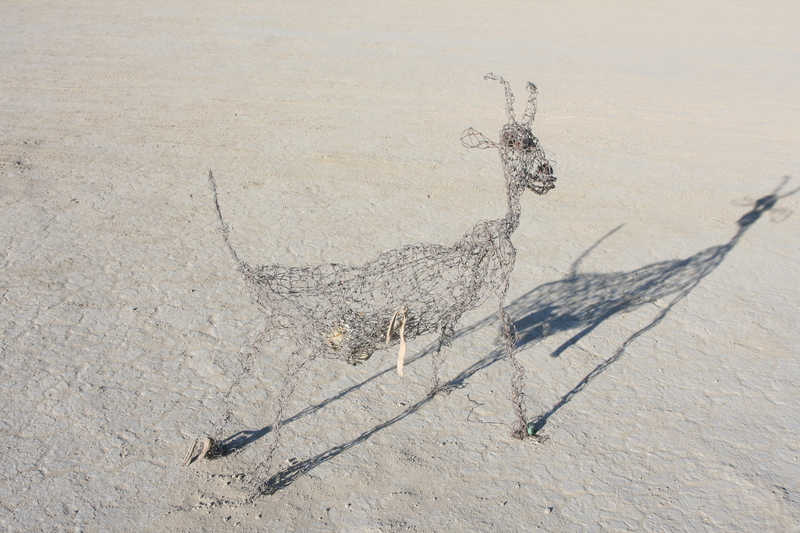 Burning Man is a Bone kind of event. He is definitely quirky. Here, he plays unicorn on a horse's nose. 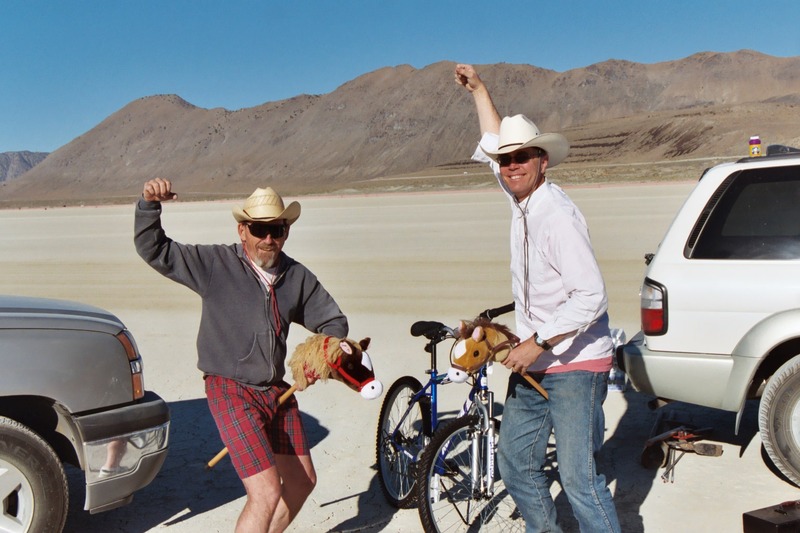 Grown men playing cowboys on toy horses also qualify as strange. 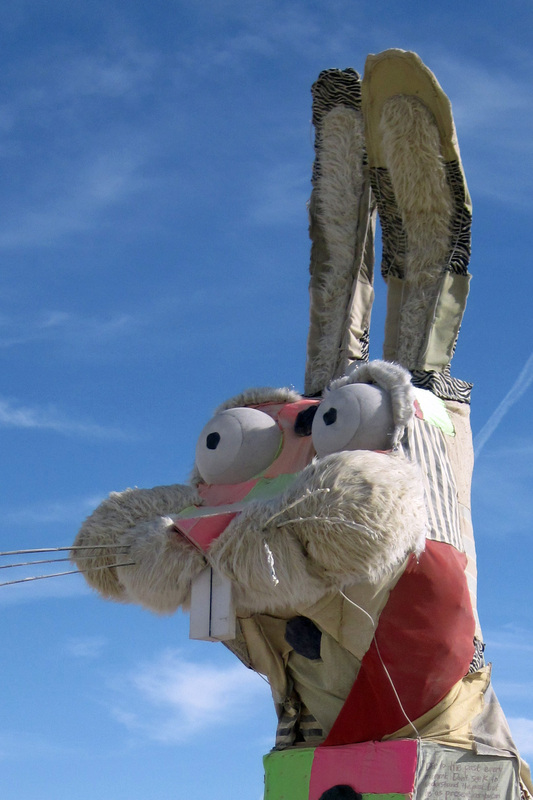 Here are a few more of my favorite examples of Burning Man quirkiness. 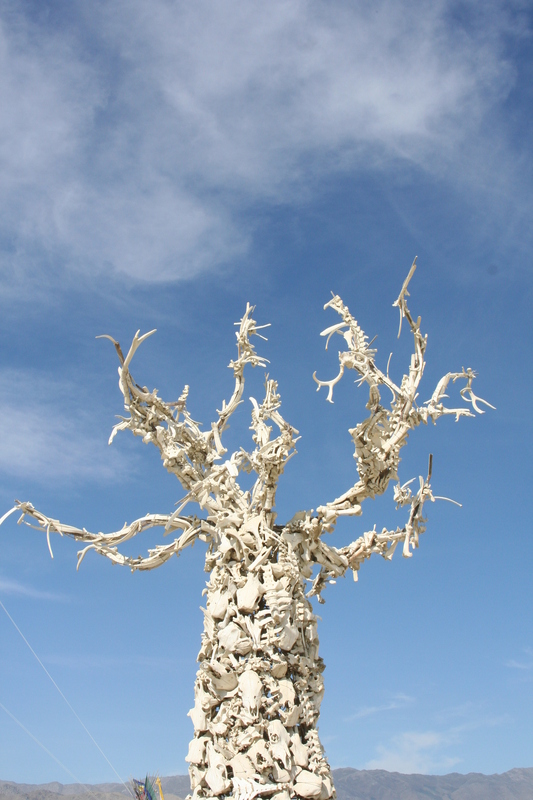 A tree made completely of bones. 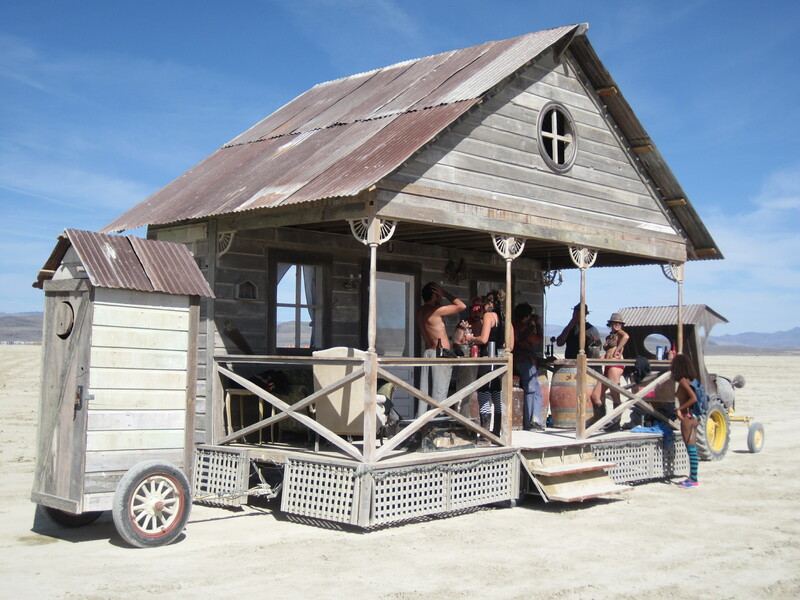 Desert mirage... a bar with its own outhouse being pulled by a tractor through the remote playa . We climbed on board and took advantage. Photo by Tom Lovering. 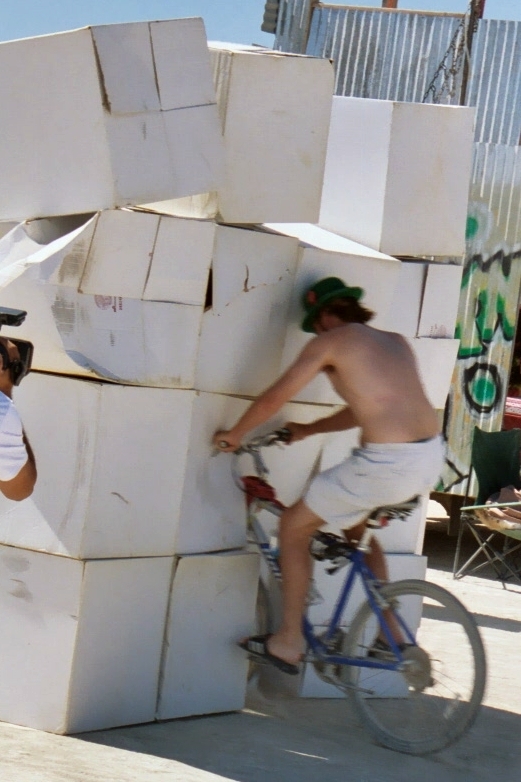 Man crashing bike into empty boxes. The boxes were set up specifically for that purpose. See through goat with shadow. Note garbage in stomach. 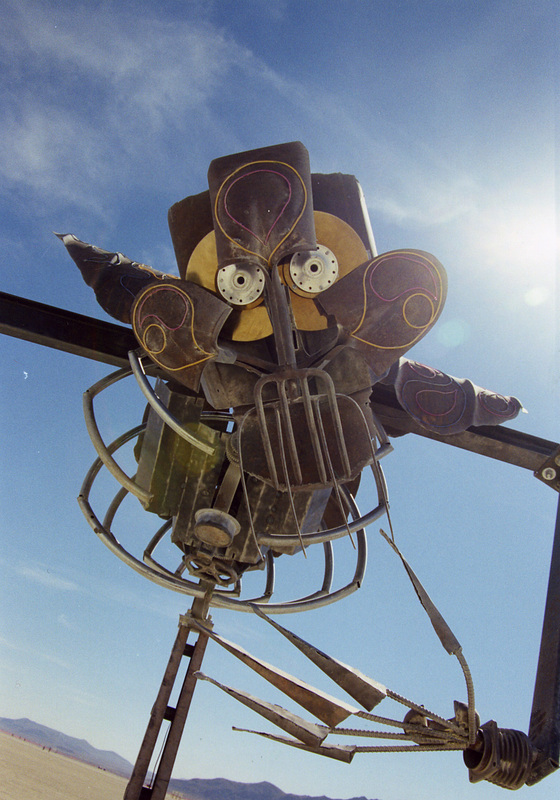 One Tribe focuses on capturing images of Burning Man and then putting them together in photo collages. 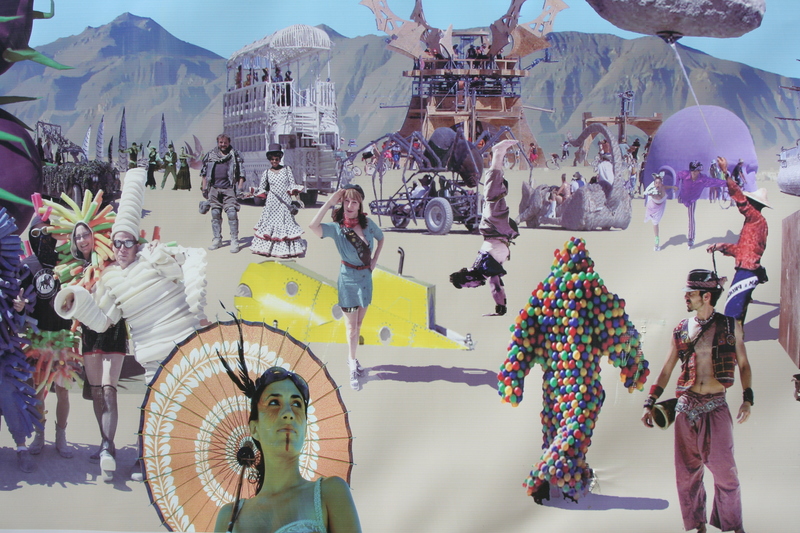 I thought this collage did an excellent job of capturing the quirkiness of Burning Man. And of course there is nothing quirky about me. I am the one on the left.